Images courtesy of Atelier Rosemood | Sponsored Feature. 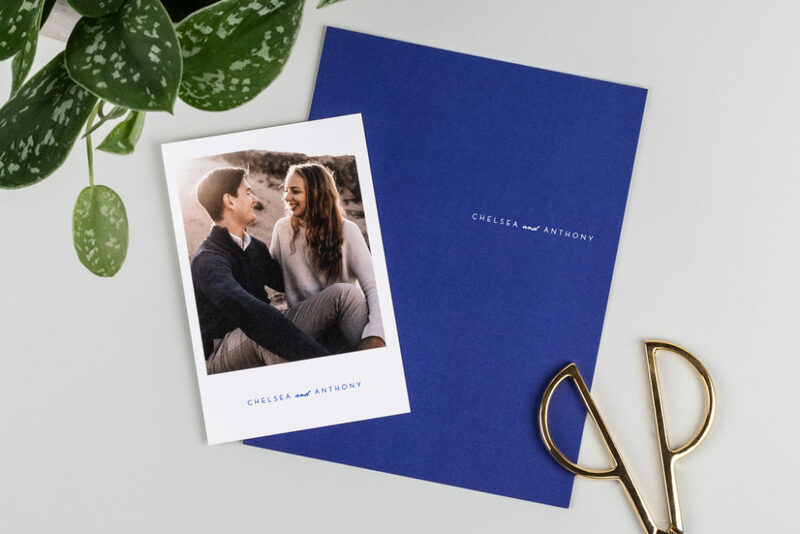 Choosing your wedding stationery is a big step in the wedding planning process as your save the date cards and wedding invitations will set the tone for your big day! 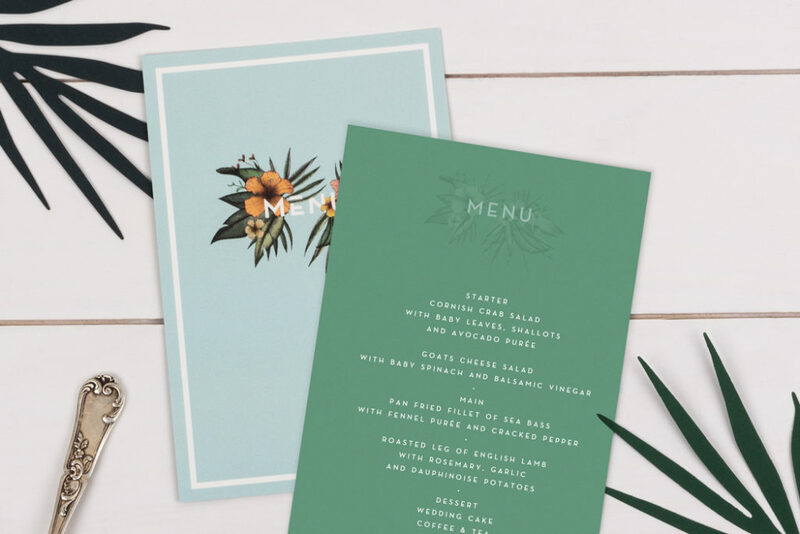 There are plenty of designs and formats to choose from so it isn’t always easy to find the wedding stationery that best matches your wedding vision! Whilst your wedding theme and colour scheme may be the first place to start when searching through Pinterest for ideas for your wedding stationery, your wedding venue can also be a great source of inspiration. 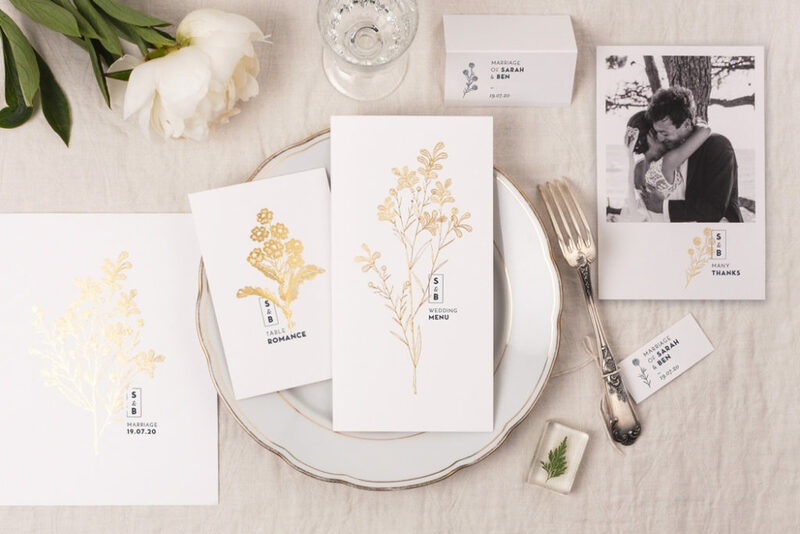 Atelier Rosemood are here to help you work out which wedding stationery best suits your venue. As purveyors of personalised wedding stationery, French company Atelier Rosemood work with talented designers worldwide to bring fresh contemporary designs to brides and grooms-to-be across the UK, offering wedding invitations and on-the-day stationery for a variety of wedding styles and venues. Read on to see Atelier Rosemood’s top wedding stationery picks for some of the most popular wedding venue types, including barns, industrial spaces and traditional country houses. Bear the character of your venue in mind when choosing your design, and consider how your wedding stationery can transport your wedding guests to your venue in advance of the big day. Wedding invitations are the first glimpse of your wedding style so can say a lot about where you are getting married and what type of celebrations you are planning, whilst your on-the-day wedding stationery will become an integral part of your wedding decorations and should complement the distinctive style of your chosen venue. Location: Embrace the surrounding of your venue by adding a touch of nature to your wedding stationery or by reflecting your urban setting. Décor: Let the colour scheme of the wallpaper of your country house or the simplicity of your modern industrial space inspire the style and colour of your stationery. Defining features: If you fell in love with your venue thanks to one special feature, you can incorporate this into other aspects of your big day. Seasonality: The surroundings of your countryside venue will change dramatically from season to season so reflect this in your stationery and decorations, by incorporating seasonal colours and flowers. 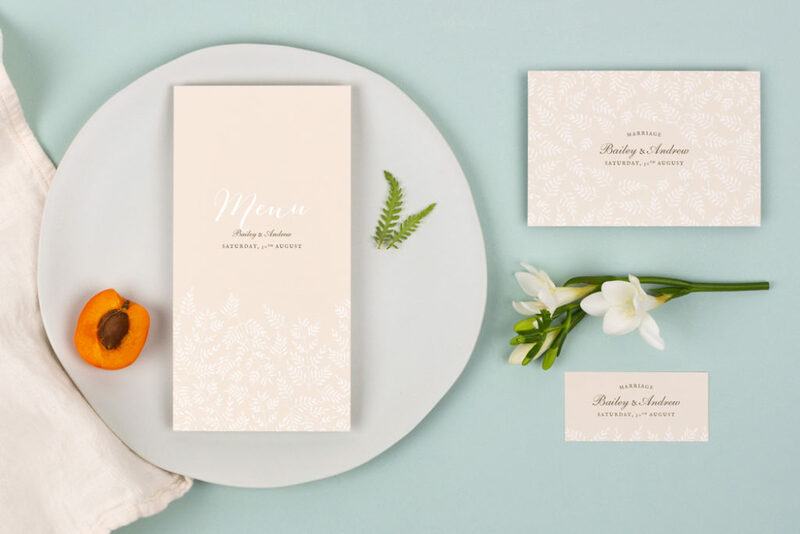 Now that we have given you some food for thought, discover Rosemood’s take on wedding stationery suited to your chosen venue. The top choice for boho brides, barn weddings offer the perfect combination of casual countryside chic and rustic luxe. Barns are usually bursting with character and charm, with exposed stone work and wooden beams becoming a beautiful backdrop for your DIY wedding decorations and gorgeous floral arrangements. 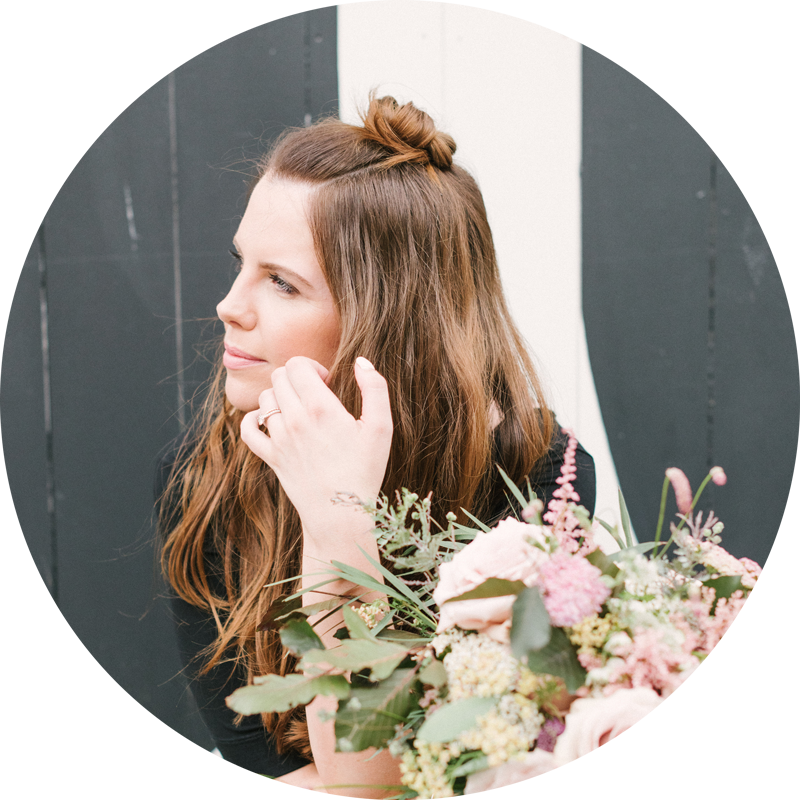 A barn wedding wouldn’t be complete without festoon lights and just-gathered flowers, and you can pair these up with rustic wedding stationery to have every little detail of your venue reflect your whimsical wedding vision. What says bohemian barn wedding more than romantic flower crowns or lush foliage? 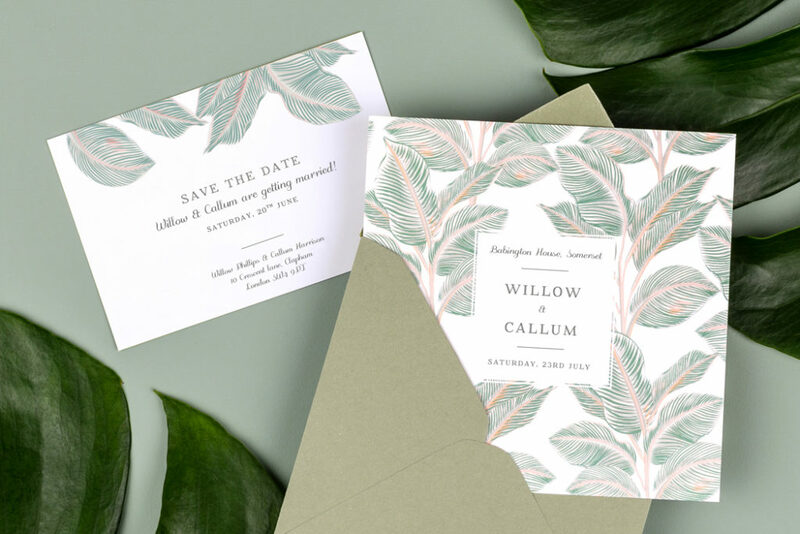 Choose rustic wedding invitations featuring romantic floral motifs to embrace the beauty of the great outdoors or opt for leafy designs to hint at the canopy of foliage you envisage hanging down from the lofty ceiling of your barn. Chandeliers, stunning rooms filled with antique furniture, beautiful parklands and gardens. What’s not to love about getting married surrounded by the grandeur of a country house? Ideal for a classic or traditional wedding, a country house wedding venue will give you the chance to host your very own romantic rural wedding. 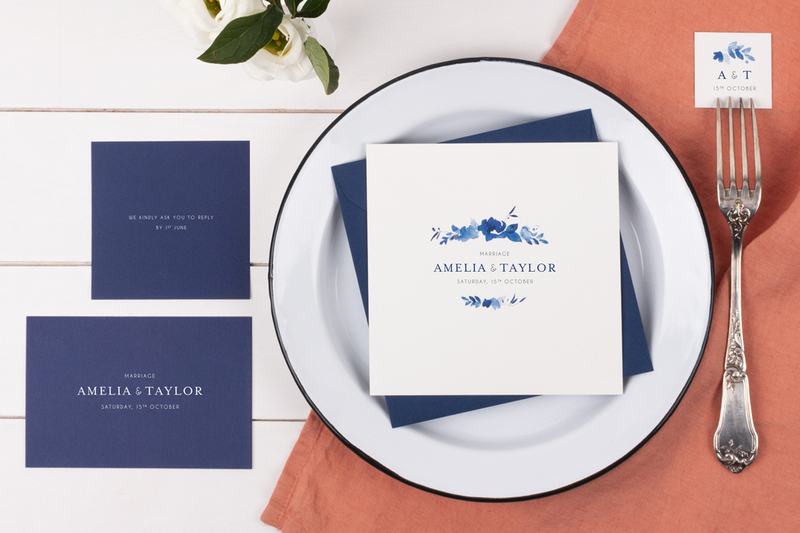 Choose classic ivory or navy blue to create elegant wedding invitations to match your stately home venue, and keep your on-the-day wedding stationery chic and simple to provide a beautiful contrast to the elaborate décor of your venue. 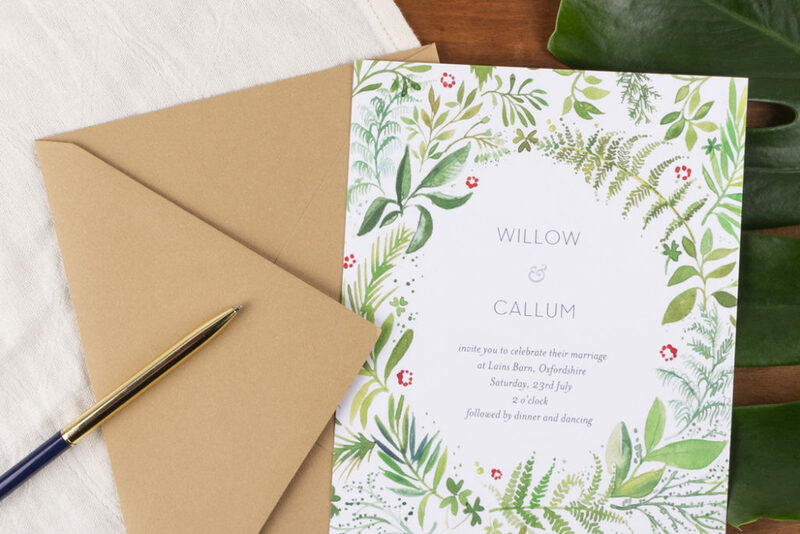 You can also make the view of the ornate gardens a focal point of your wedding invitations by opting for botanical motifs. Baroque style, with its deep colours, bold contrasts, and overall sense of exuberance, is also a great choice for a classical venue with dark wood panelling and lavish chandeliers. Gold will sit at the heart of this opulent trend, so think about foil wedding invitations for your baroque venue. A country house venue will also be transformed by the seasons so you can let the time of year inspire your wedding invitations and on-the-day stationery. 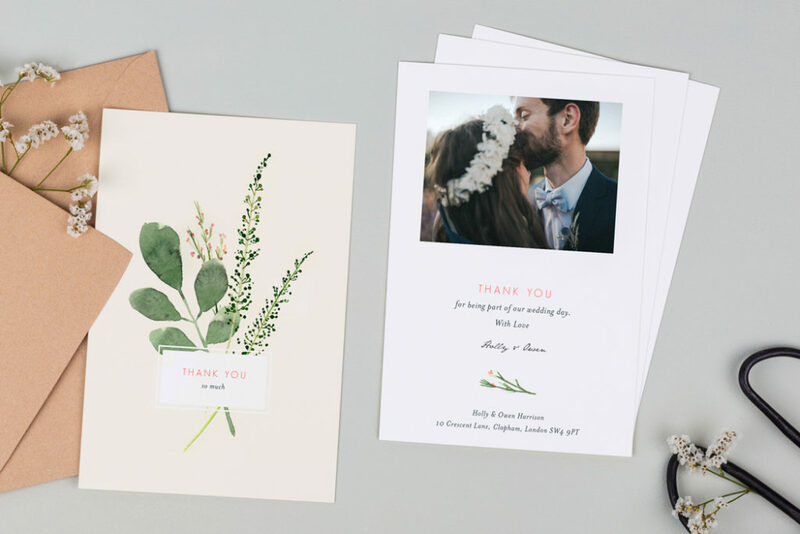 Romantic floral wedding invitations are perfect for a spring wedding, whilst you should add a splash of colour to your stationery if you are tying the knot in the summer. You can also embrace the beauty of autumn foliage with earthy browns and golden leaves in the autumn, or evoke the frosty scene of a winter’s morn with cool blues and shimmering foil for your winter wedding invitations. Warehouses, breweries and art galleries are becoming ever more popular with the modern bride and groom and are perfect for couples looking to make their mark on their wedding venue. These industrial spaces often offer a blank canvas that can be easily dressed to suit any wedding theme, allowing you to choose the wedding stationery and decorations that best match your personalities. Such venues are often flooded with natural light thanks to huge windows, whilst exposed brick walls, concrete floors and iron beams create a raw space that you can decorate as much as or little as you wish. Minimalist weddings are all about simple elegance and allow your big day to focus on just a few meaningful details important to you and your fiancé(e). Think neutral wedding colour palettes, clean lines and simple designs suited to a modern industrial space. If you have chosen an understated wedding venue with little decoration or few defining features, bold colours are an easy way to warm up an industrial space, whilst metallic foiling will allow you to bring a touch of luxury or glamour to your wedding reception. Sticking to different shades of a single colour for your wedding stationery and decorations creates intensity and impact, with the varying shades giving depth to your wedding décor. 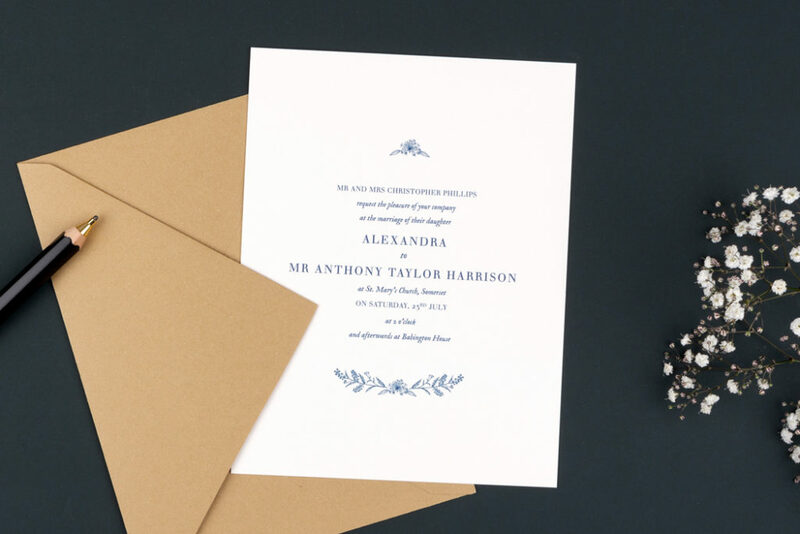 A change of font can also transform your wedding stationery to suit one venue to the next. Whilst flowing calligraphy is ideal for your classic countryside wedding, modern typefaces will capture the essence of your contemporary celebrations, with text-based designs allowing your guests to focus on the details of your big day. Most brides and grooms who plan a destination wedding are looking to escape to the sun, so when we think destination weddings, we imagine palm tree lined beaches, tropical paradise islands and stunning vistas. If you are lucky enough to be getting married at one of your dream venues worldwide, then use your destination wedding invitations to give your guests a glimpse of your chosen getaway in advance. Choose tropical designs for a sea-front wedding reception on distant shores or opt for motifs specific to the country or region you are getting married in, such as the lavender fields and olive groves of Provence. 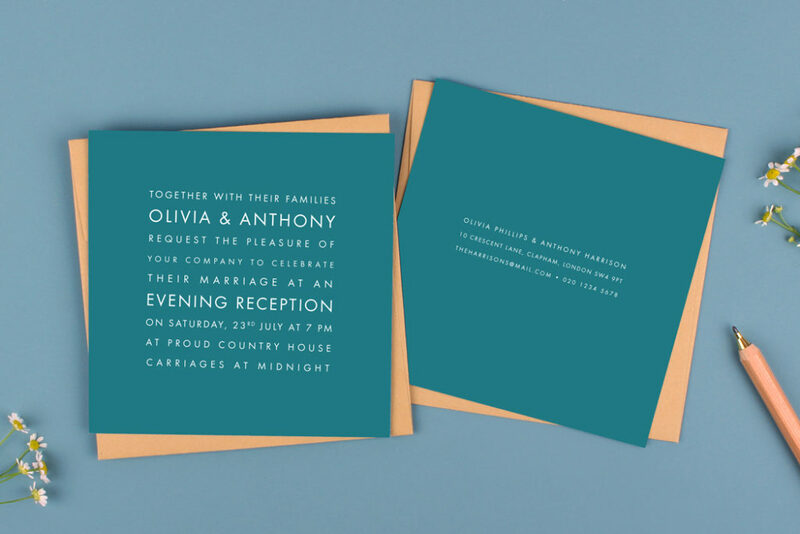 Bright blues and yellows are also ideal for beach wedding invitations and will give your guests a taste of the sea and sunshine that will await them on your big day. Just don’t forget to send your destination wedding invitations at least six months before your wedding to give your friends and family enough time to grab those cheap flights and to organise their accommodation. You may also wish to provide wedding invitation inserts or to create a wedding website to inform your guests of their flight and accommodation options to make attending your big day as easy as possible. Remember that every wedding is unique so your wedding stationery should be too. 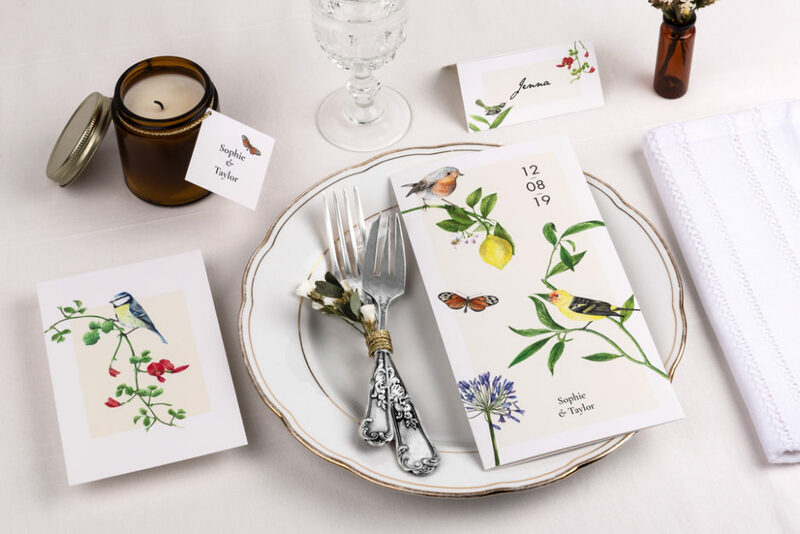 Whilst Atelier Rosemood have given you some hints and tips on how to embrace the defining features and style of your wedding venue, there are no set rules to follow when it comes to choosing your wedding stationery and you will find inspiration in even the most unlikely places! There is nothing to stop you from bringing a touch of minimalism to your country house venue, or a touch of classic elegance to your warehouse setting. The most important thing is that your chosen venue, decorations and stationery suit your personal style. Your wedding day should reflect your personalities and your wedding stationery will be just one of the finishing touches that will make your day so special. Many wedding stationery designs can suit a whole variety of venues so it is often your wedding invitation wording that will set the tone for the style of your big day. 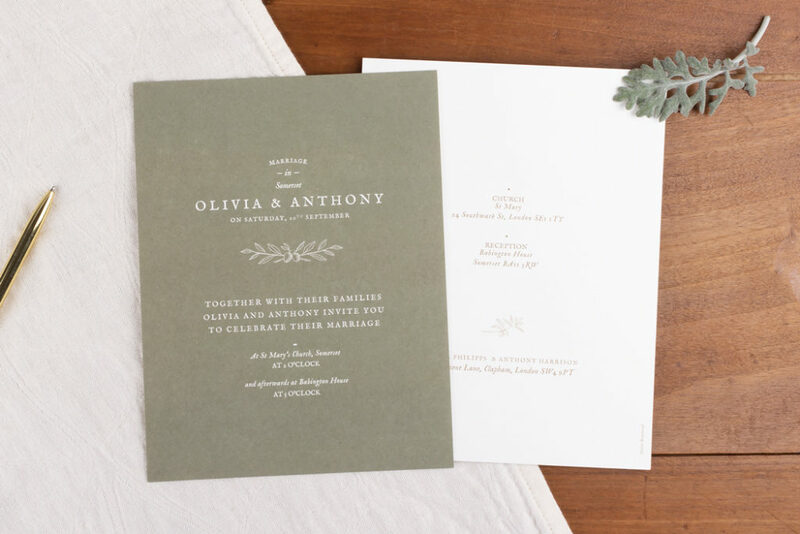 Stick to classic wedding invitation wording for a formal wedding reception or try out some unique wording to reflect the more casual nature of your festivities. You will find lots of wording ideas on Rosemood’s website to help. Whichever wedding venue you have chosen, there is plenty of wedding stationery inspiration on www.rosemood.co.uk, along with hints and tips for planning your big day. 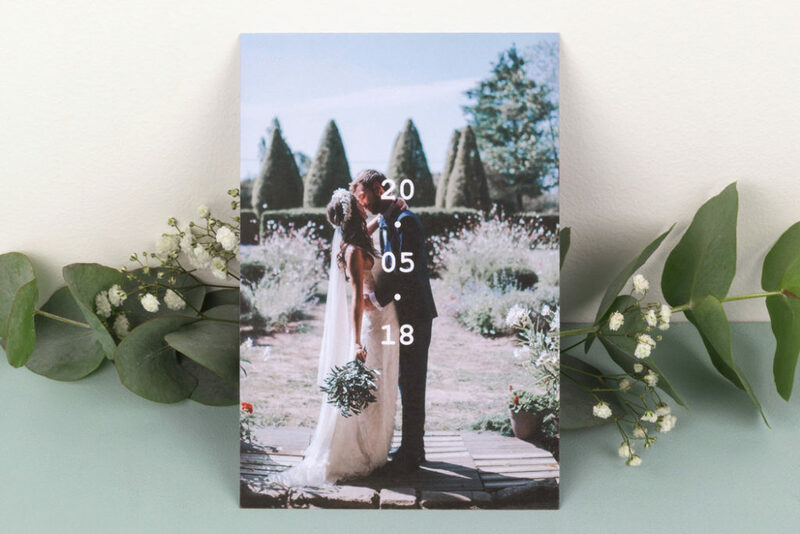 Rosemood offer personalised samples of their wedding stationery so that you can get a feel for different designs, which is ideal for future brides and grooms who are yet to define their final wedding style or colour scheme. Their friendly customer service team will also be more than happy to help you find the perfect wedding stationery for your big day so don’t hesitate to get in touch!